Vynohradiv was a vibrant village and religion played an important part in the day-to-day lives of Vynohradiv's Jews. The founding of the Jewish community is a result of the Chmielnicki pogroms in 1648 when Jews fled Poland and Ukraine. They found refuge in the villages and estates of the baronial families, PERENYI, ACEL and FOGARSI. In 1768, two Jewish families were living there. At the end of the 17th century, fighters of the Hungarian uprising, under the leadership of Franz RAKOCZI II, organized pogroms against the Jews. Despite the law forbidding the Jews to settle in Hungarian towns, Jews came here from nearby villages , most of them from Rackowic. After the death of the Kaiser Josef II, whose "edict of Tolerance" issued in 1782 granted certain priveleges and freedom of worship to the Jews, there were attempts to banish Jews from the cities, but these efforts failed and the Jews remained. They consecrated a house of prayers, founded a Chevra Kadisha (burial society) and appointed a shochet (ritual slaughterer) and a rabbi. The first Rabbi of the Nagyszőllős community was Rabbi Yair KATZ ben Yechiel, appointed in 1745 and died in 1780. Around 1785-1786, the melamed Rabbi BARUCH, father of the famous Rabbi Zalman SCHNEOUR, and author of the Tanya (a book of eclectics), came here. He died in 1792. After him, Rabbi Yehuda HaCohen HELLER (1794-1802), author of "The Book of Doubts" about the Hoshen Mispat (The fourth part of Shulhan Aruch by Joseph CARO), officiated. 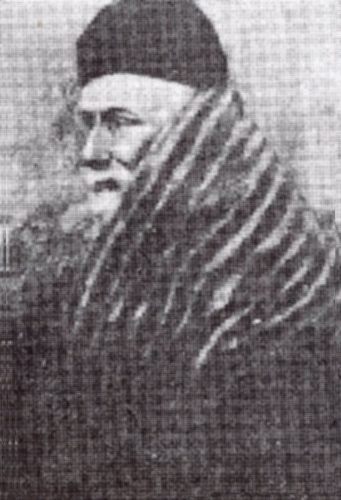 Rabbi Chaim Meyer ZEEV HaCohen ZELENFREUND was rabbi during the years 1820-1832 and in the following years, Rabbi Eleazer FALK, Rabbi Eleazer LIPMAN STEIN and Rabbi Chaim Moshe HaCohen MOSKOVITS officiated. The rabbi who had the greatest influence in shaping the structure of the community was Rabbi Shmuel (Shmelke) KLEIN, the founder of the yeshiva and the author of "Eternal Life." He died in 1874. His son, Rabbi Pinchas Chaim KLEIN succeeded him. The Jews of Nagyszőllős opposed the reform movement which was spreading among the Jews of Hungary. 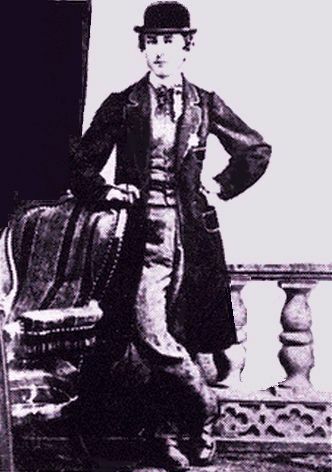 Israel ROIZ, the head of Jewish community of Nagyszőllős left the Congress of Jewish Communities which convened in Budapest, in 1869-1869, because it was conducted in the reform spirit. 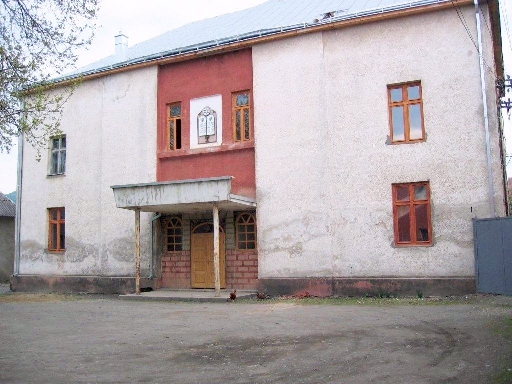 At the end of the 19th century, the yeshiva in Nagyszőllős was among the 31 yeshivoth recognized by the authorities as preparatory schools for rabbis. The students were obliged to study secular objects too at the secondary school level. The Jews of Nagyszőllős and the surrounding area supported the Jewish community in Eretz Israel and played a part in the founding of the Kollel (talmudic academy) named "Munkács." Rabbi Pinchas Chaim KLEIN was chosen as a vice-president of the Kollel. After his death in 1923, Rabbi Joseph Nehemia KORNIZER was his successor. 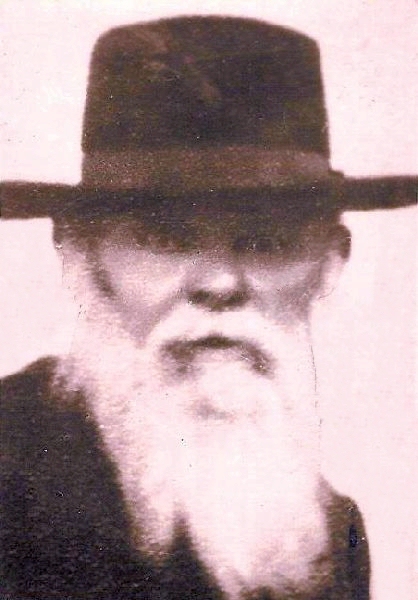 In 1925, when Rabbi KORNIZER was called to serve in the rabbinate in Cracow, Rabbi Shlomo Israel KLEIN, the son of Rabbi Pinchas Chaim served as rabbi, the last Rabbi in Sevluš. 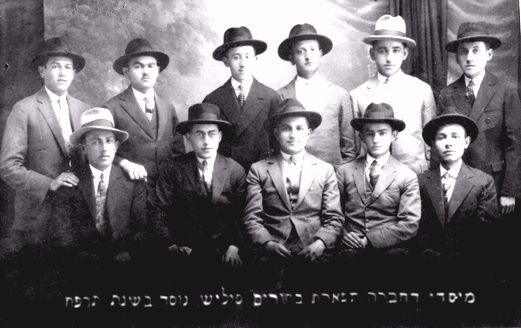 The official community leaders were Abraham KLEIN, Menachem Mendel GUTMAN (1891-1920), Shalom STEINBERGER, Meyer KROIS, and Yechiel ROIZ. 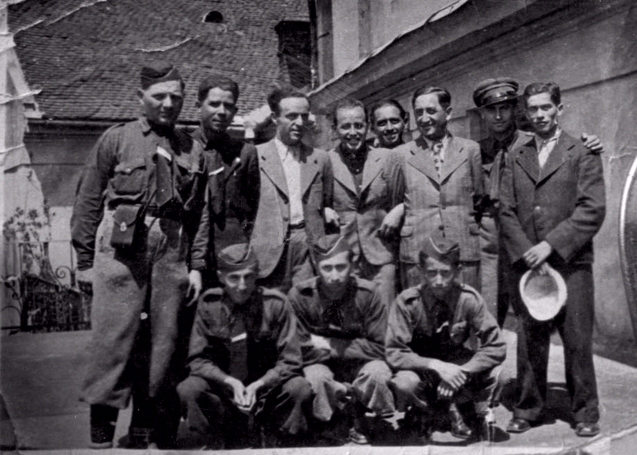 During the period of Czechoslovakian rule, between the two world wars, the following served as lay leaders of the Sevluš community: Meyer Shalom REIZMAN, Joseph POLLAK, Moshe SCHWARTZ, Moshe FARKASH, Moshe KRAMER, Moshe JOSEPH, Mordechai EISENBERG, Dr. Yacov LEISMAN and Pinchas WUERZBERGER. 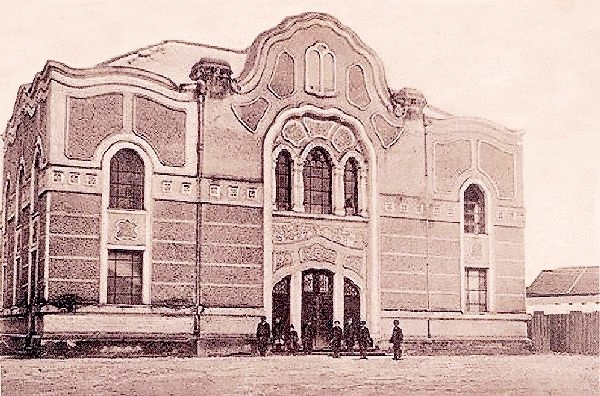 The central synagogue was the large synagogue, built in 1904, on Kiraly street. The Talmud study house was founded by Abraham KLEIN. With the increase in the hunger of congregants who prayed according to the Sephardi custom, the Ashkenasi version was replaced by the Sephardi one. In addition, they established a chassidic talmud study house, a ritual bath for daily immersion and organized a Mishnah study group. In the large synagogue and in the Beth Midrash Mahziki Torah where Rabbi SHMELKE prayed, they continued to pray according to Ashkenazi tradition. There was also the prayer-house of the Admor Rabbi Israel Menachem EHRLICH and a few other private places of prayer. The community offices, ritual bath, ritual slaughter house, synagogue and the homes of the rabbi, dyan (judge), shochet and custodian were all located in the courtyard of the great schulhof (synagogue). The members of the burial society also visited the sick and approved medicines and firewood for the needy. In the local government hospital, expanded in 1935, there was a Kosher kitchen under the supervision of the burial society. Additional organizations active in Sevluš were the "Committee for Hospitality of Visitors," Psalms Society," "Seekers of Justice Society," women's organizations, and the "Elite Young Mens Society." During the first world war, the community organized a kitchen to provide meals for the Jewish soldier prisoners from Russia and the Jewish refugees from Galicia. The Chassidic admorim rabbis in the city were: Rabbi Israel Mendel EHRLICH; Rabbi Chaim Meyer Yechiel HOROWITZ; the rabbi of "Rzeszow," the spiritual leader of the Chassidim; Rabbi Yitzchak Isaac WEISS, the admor of Spinka and the author of the "Field of Yitzchak" who had come to Sevluš from Munkács, organized a yeshiva and magnificent synagogue. Many Chassidim from the whole country came to his court. Until the end of World War I, there were only private teachers in the city. Rabbi Moshe Zeev KATZ, who taught Talmus Rashi and other commentaries, also taught Jewish religious studies in the government schools, a Talmud Torah (religious school) with five classes was started after the war through the initiative of Moshe SCHWARTZ, Rabbi Shmelke KLEIN Tzvi MARKOWITZ, Yuhuda HOLLANDER and others. Some of them also founded a Beth Yaakov (a school for girls). The Chassidim had a separate Talmud Torah. During the period of Czech rule, the Jews were granted "minority rights." The teachers Yair RICHTER and Shlomo Yaacov GILAD taught Judaic studies to Jewish students in the government schools. There were also yesishvot administered by Rabbi Shlomo KLEIN; the rabbinical judge Jonathan BENJAMIN, the author of the "Soul of Yonatan" and Rabbi Shmuel GREENWALD. 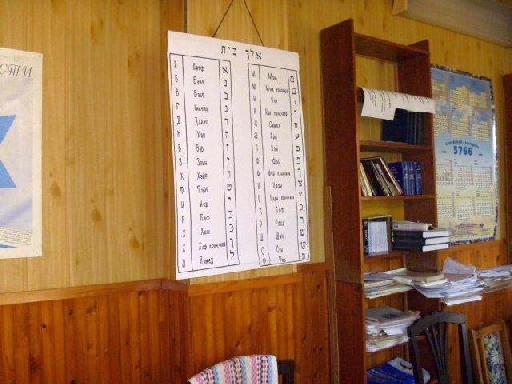 Taking advantage of the "minority rights," some Hebrew schools were founded. 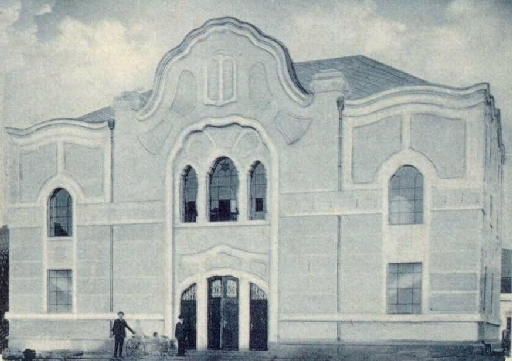 In 1922, a Hebrew school was organized in Sevluš. During the first year, there were 150 pupils. Some of the young people continued their education at the commercial high school or in the trade schools. Some studied at the Hebrew gymnasium in Munkács or in the local yeshivot or in Slovakia and Hungary. Most of the early Jewish settlers were inn-keeper, petty merchants, butchers and craftsmen. Most of them were poor and the "tolerance tax" introduced by the Empress Maria Teresa made their economic position even more difficult. Relief came with the introduction of a more tolerant policy by Emperor Joseph II when Jews could enter new fields of employment. The Jews specialized in the production and export of wine, especially to Galicia, during the grape harvest, many admorim came to the city. At the end of the 19th century and the beginning of the 20th century, there was a substantial improvement in the economic situation of the town's Jews. Some Jews purchased large tracts of land: among them A. KLEIN, the head of the community and the founder and director of the Ugocsa Bank. During the twenties, the joint distribution committee organized a credit bank. Some Jews owned flour mills. factories, textile stores and printing houses. Jews were wholesale grain merchants, directors of financial institutions and building contractors. Most of the doctors the of district, veterinarians, lawyers and the owner of the first movie house were Jews. Many Jews were wealthy and made efforts to gain positions of influence in the town, but there were also workers, coachman, and many needy families. The Jews of Nagyszőllős made efforts to be part of the Hungarian society and in 1848, during the Hungarian uprising, four Jews fought on their side. After emancipation of the Hungarian Jews in 1867, many Jews filled important positions. During the period of Czech Republic, Noah Jacob DEUTSCH was the editor and publisher of the Hungarian newspaper "Ugocsa." He was also chairman of the United Jewish Party in the years 1920-22. In the municipal elections of 1921, eleven representatives of the Jewish party were elected to the council that contained 36 members. Eliahu WEISS was elected deputy mayor. Zionist activity in the town began with the founding of the "Love of Zion Society" by Moshe GUTMAN in 1913. When World War I broke out in 1914, most of its members were drafted into the army. After the war, Zionist activity was renewed. An organization called "Unity" included Zionists from all parties. 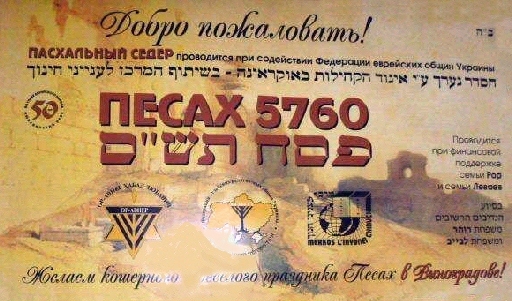 Public lectures were sponsored and money collected for the Jewish National Fund. A branch of W.I.Z.O. and a youth group for girls called "Miriam" were active. In June, "Unity" split up and branches of the "Mizrachi" and Revisionist parties were formed. In 1918, Moshe GUTMAN was elected a member of the Zionist Executive Board of Hungary. 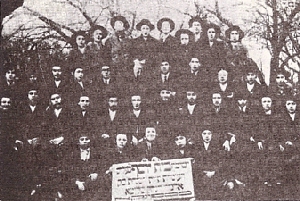 After the war, he organized Zionist groups in Carpathian Rus', joined the "Mizrachi" and was its delegate to the 12th Zionist Congress which took place in Karlsbad. Another active Zionist was Meshullam Fish WEISS. The first training farm for pioneers opened in 1923 by the Mizrachi Chalutz Movement on the estate of Menachem GUTMAN. In 1926, a training camp was organized in the brick-yard of GLICK-GUTMAN. In 1933, forty pioneers from the "Hechalutz" movement in Germany came to the estate of the SZTEINER family in Blankatanya. Another twenty German Jews from the religious pioneer movement came to the farm of Simcha GREEN in Sirma. In 1937-1938, twenty pioneers received training at the government tobacco factory. In 1940, twenty members of the "Mizrachi" pioneers learned the art of basket-weaving. There were also branches of many youth movements such as "Hashomer Kadima," "Hashomer Hatzair," "Betar," "Hechalutz," and a youth movement of "Hamisrachi." The youth movements sent their members to training farms and factories and many emigrated to Eretz Israel. Yitzchak BLOCH of Sevluš was assistant to the leader of the Betar in Czechoslovakia. In later years, he served as the secretary of the Tel-Chai Fund in London. 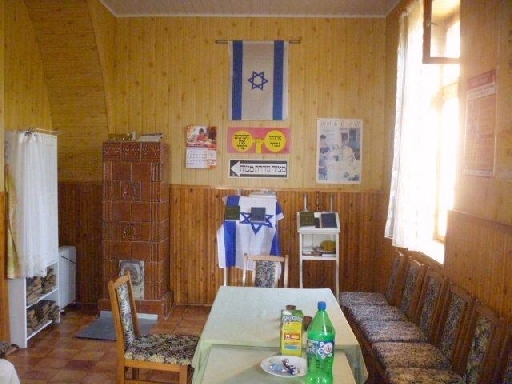 The sports club Maccabi supported a football team. In many of the small communities that were affiliated to the Sevluš rabbinate, were Jews that lived there many years before Jews were allowed to settle in Sevluš. Most of the Jews were in the wine trade with small tracts of vineyards or retail merchants. The Rabbinate of Sevlušmade efforts to provide a judge and teacher for every community. In 1938, there was 8,000 Jews living in Sevluš and the surrounding area. The Encyclopedia of Jewish Life Before and During the Holocaust, (2001), pp. 269-270. 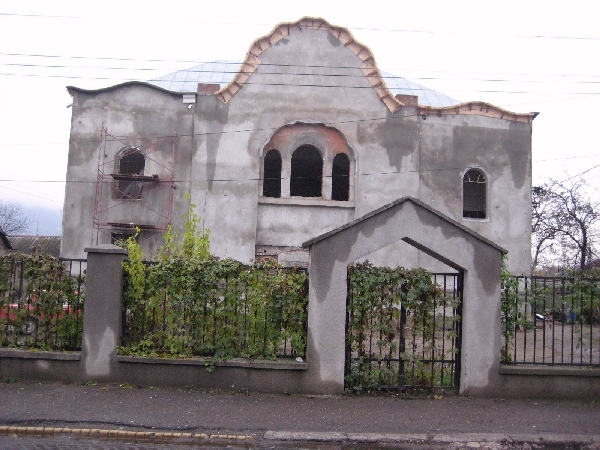 Announcement: The Vynogradiv Jewish Community has started the task of restoring the synagogue to its former beauty. 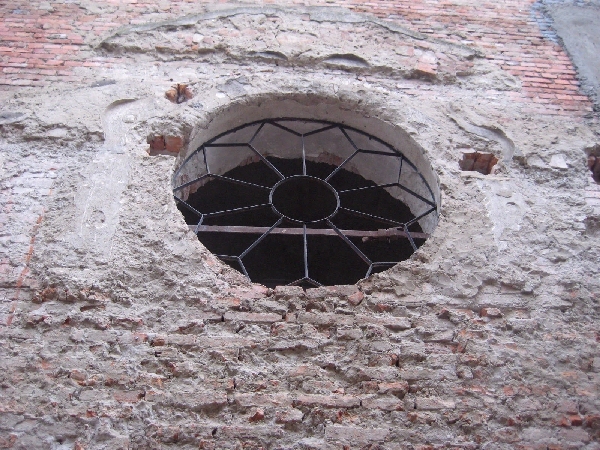 The synagogue is in dire need of complete restoration, including roof replacement. 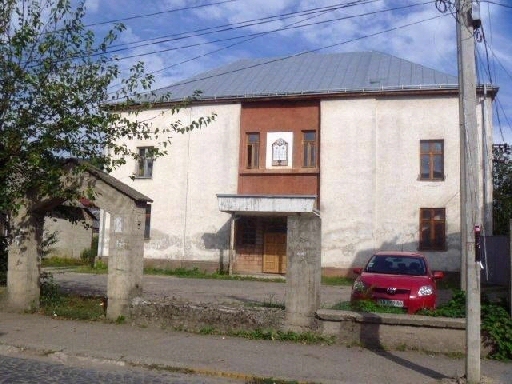 The Vynogradiv Jewish Community is seeking individuals, with a connection to this town, or anyone else interested in helping to fulfill the mitzva of restoring it. 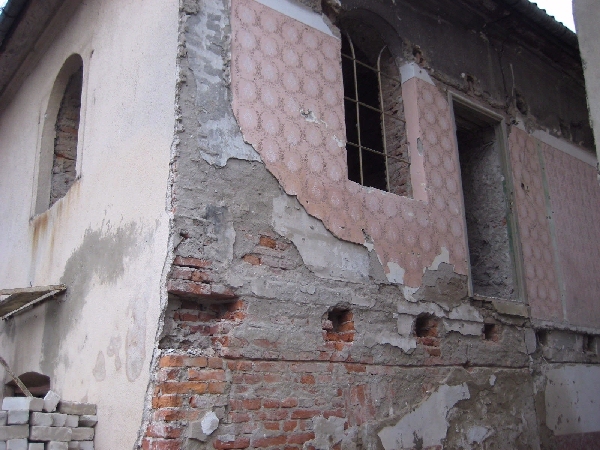 With some seed money, the Vynogradiv Jewish Community has started the restoration process, but to continue funding this project, financial assistance is needed. If you are inspired to help financially in this most noble effort, click HERE to contact me for more information. Following are some progress photos of the synagogue restoration.